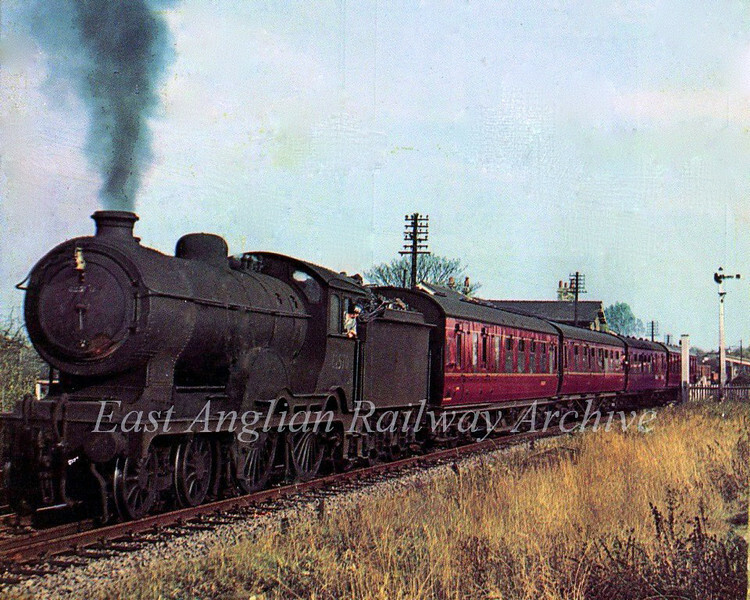 J Holden Super Claude D16/2 62570 passes Swavesey in 1959 on a Cambridge to Birmingham working? The engine was nearing the end of its days as it was withdrawn from service on 30th November 1959. Its last shed allocation was March 31B. Photographer unknown.